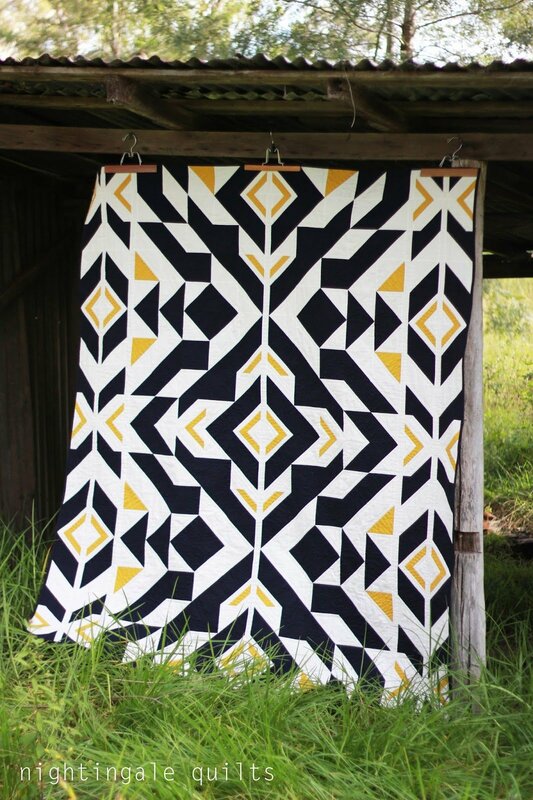 We love the creative symmetry of this design, what a beautiful quilt! This project comes to us from Michael Miller Fabrics and was created by Caroline Greco of Nightingale Quilts. The downloadable pattern goes into excellent detail and is quite easy to follow. Be sure to check out Caroline's photo page for more views of her quilt. Enjoy! Click here for the project page from Michael Miller Fabrics. Click here for Caroline's blog page with quilt photos.